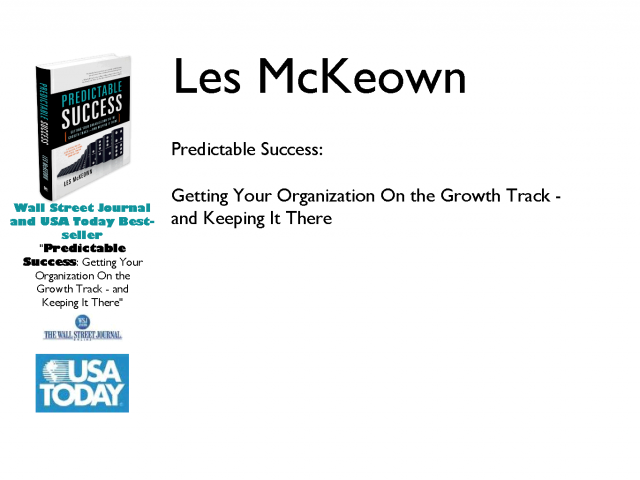 Les McKeown is the best-selling author of "Predictable Success: Getting Your Organization on the Growth Track -- and Keeping it There." In this free webinar, Les will take you step-by-step through a startlingly simple, intuitive, and universal process that will show you how to bring a sustained, lasting, predictable success to your organization. Whatever your challenge, Les will show you the steps to take to restore equilibrium to your organization, re-ignite confidence in your own management skills, and lead your team forward to the next stage in growth.